More than 50 percent of college degrees and close to 40 percent of MBAs are held by women, yet less than five percent of Fortune 500 companies have female CEOs. Research by Bain & Company shows that young women enter the workplace full of confidence, yet after two years in a position, women's aspirations for top management drop by more than 60 percent. How do we build confidence in our female graduates so they can aspire to greatness? Confidence UNG is a special conference designed to provide women of UNG a time to build relationships, engage in interactive workshops and learn from inspirational speakers. This year's conference is sponsored through a grant provided by the Kappa Delta Foundation. On Wednesday, March 29, from 8:30 a.m. - 1:00 p.m., the Mike Cottrell College of Business will host Confidence UNG. You will have the opportunity to hear from keynote speaker, Jovita Moore, of Channel 2 Action News, Kristy Dickerson of STARTplanner, and Adriana Avella, Charlotte Gooding, and Neha Hatia of Home Depot. Attire is business casual and lunch will be served. Learn more about business casual dress. Seating is limited to 120 participants so please make sure to register today! Jovita Moore anchors the 5 p.m., 6 p.m. and 11 p.m. newscasts on Channel 2 Action News. Jovita joined WSB-TV in 1998. Her previous stations include WMC-TV in Memphis, Tennessee and KFSM in Fayetteville and Fort Smith, Arkansas. Jovita holds a Master’s of Science degree in broadcast journalism from Columbia University Graduate School of Journalism in New York City. She has a Bachelor of Arts degree from Bennington College in Bennington, Vermont. Jovita is a native New Yorker who proudly calls Atlanta home. Jovita is a busy mom who also donates countless hours to civic associations and non-profit organizations across metro Atlanta. She mentors students and sits on several boards of directors. Jovita is a member of the Atlanta Association of Black Journalists and the National Association of Black Journalists. She is a member of Leadership Atlanta’s Class of 2007, and a member of Outstanding Atlanta’s Class of 2004. She was featured on the 2007 list of 40 Under 40 by Georgia Trend Magazine, and was selected as one of Jezebel magazine’s 50 Most Beautiful. Jovita has received several Emmy Awards during her years at WSB-TV. She says her most important accomplishments are her children. 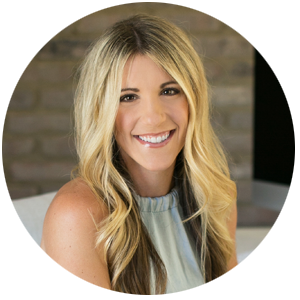 Kristy Dickerson, keynote speaker, businesswoman, and active CEO and co-founder of STARTplanner, has devoted her life to providing hope for individuals who are looking to achieve balance, success, and happiness within their own lives. Dickerson has been sought after for keynote speaking due to her relatable story, no excuses tone, valuable advice, and upbeat personality that she entrenches in all aspects of her brands. She believes and preaches that individuals have the ability to do anything they want. She has shown individuals how to make change happen in their life by giving them tools to be productive as possible and showing them how to follow their dreams. 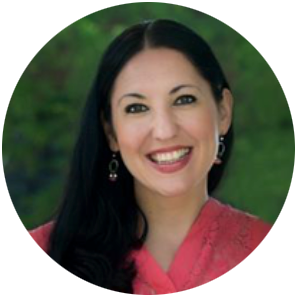 Adriana Avella is the senior human resources manager driving projects and HR strategy at The Home Depot. Adriana joined the company in 2007 as a compensation specialist. Adriana has held roles of increasing responsibility, senior compensation analyst, human resources manager, senior manager human resources supporting various business groups such as: Supply Chain, Merchandising Operations, Marketing, Pricing, Assortment Planning, before taking on her current role as Project & Strategy lead supporting the HR Vice President. Prior to joining The Home Depot, Adriana worked in Hospitality business for 4 years supporting HR, Administration and Accounting functions. Adriana has a Bachelor’s of Business Administration in International Business from University in Poland (where she is from originally). She is a certified HR and Compensation Professional. Neha Hatia is the director over merchandising planning for The Home Depot. Neha joined the company in 2007 as a business analyst on the Workforce Operations and Strategy team and since then held various roles of increasing responsibility including, Sr. Analyst within Workforce Operations/Strategy, Manager of Reverse Logistics where Neha helped redesign the Company’s return-to-vendor (RTV) process and Senior Manager of Tool Rental where Neha helped improve the Rental customer experience. In 2014, Neha joined the Merchandising organization as director overseeing strategic initiatives for the Merchandising Execution Team. 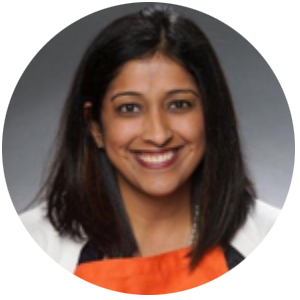 Prior to The Home Depot, Neha worked at Stockamp & Associates (now Huron Healthcare) where she worked with hospitals to improve patient flow and revenue recovery. Neha holds a Bachelor of Science in Industrial and Systems Engineering from the Georgia Institute of Technology. Charlotte Gooding is the Senior Merchant of Hand Tools, Storage and Automotive for The Home Depot. Charlotte joined the company in 2004 as a Staff Accountant. 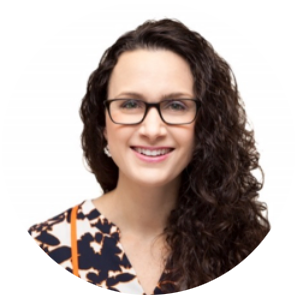 Charlotte has held roles of increasing responsibility, Sr Financial Analyst, Finance Manager, Sr Manager Store Operations, before joining the Merchandising organization in 2011 as Associate Merchant -D28I Portable Power. Charlotte also managed Garden Tools and Watering as a Merchant before being promoted to Department 25 Tools. Charlotte has a Bachelor’s of Business Administration in Accounting and Finance from Georgia State University. This event is generously funded through the Mike Cottrell College of Business and a grant from the Kappa Delta Foundation.